Ecoelectric are a leading provider of licensed electrical contractor services specialising in solar power and hybrid battery systems. We are dedicated to providing our clients with high-quality systems that not only meet their power needs now and in the future, but also help to reduce the carbon footprint of our future. With some 20 years experience and a suitcase of licenses and endorsements we have the expertise to recommend truly individual and integrated solutions. Like to know more about who we are? See our company profile, or view some of our previous installations. Our completely in-house team has proven capability and experience backed by a long list of testimonials. Ecoelectric are responsible suppliers and maintain diligent warranty and company and or director background checks on our suppliers. We prefer to deal with major brands and manage to do so very competitively. At Ecoelectric our plan is simple; we want to add value to your project and reduce your electricity bill! I had a 4kw microinverter system installed just before Christmas and was extremely happy with the whole process. The customer service is fantastic, they made sure i got the right system for my needs and were very informative throughout the process. On the installation day the guys were very knowledgeable and take great pride in their work. I will definitely refer them to others and will definitely use them again in the future. The system runs really well and was great to see my meter run backwards! Can highly recommend Ecoelectric for solar system design & installation. They offered a competitive price using quality PV & panels. Dan & Matt did a great install with Jeff and Kristeen coordinating from the office and following up all the details. Everything went well regarding installation, plus the solar panels are working fine. And watching the progress with the computer software is great compared to our last home system. Thank you, Ecoelectric. These guys take their work very seriously and use quality materials at a competitive price. Nothing was too much trouble. Easily the best customer service out of the various quotes I got. Very happy with the final product. I had Ecoelectric install a solar power system on my house in Daisy hill. They have been very good to deal with no matter what i asked they could not be more helpful. Always did what they said they would do whether getting information for me,returning calls or when we first lost power because of a tree falling on power lines in the area, I gave them a quick call and they were excellent, could not be happier with their service. To Adrian, Kristeen and the team a Ecoelectric thank you for a job well done. The lads from Ecoelectric just installed a 10kW system with Reposit and dual independent emergency power systems at my place in Mundubbera. Aside from the fact that Jeff was one of the small minority of the many Solar contractors I talked to who could actually get his head around the stupid complexity of what I wanted to achieve, he and his troops did a very solid and aesthetically pleasing job of putting the gear in. Full marks. Jeff Wehl and his team at Ecoelectric have been a delight to work with. The quality of their work and attention to detail is 2nd to none. We now have 54 solar panels scattered around our home providing nearly 80kw of power on most days. We couldn't be happier. There after sales service is without peer! I often get emails from Jeff commenting on the power usage at our home, showing me that he is always monitoring our system. And the refund on our bill from power company earlier this year was a nice bonus. We have been extremely pleased with all facets of their operation and will continue to use their services in the future. Ecoelectric just installed a 3.2 kW enphase system in our Riverhills home. Everything proceeded smoothly and the install was completed in one day. They even relocated our antenna and replaced some already cracked roof tiles. At the end the guys explained how the system works and gave us a run down on the upcoming connection and meter replacement. The system is already generating on day 1, and we were happy to see that the kWh generated were in excess of the estimate. We are pretty happy all up - thanks Ecoelectric. Thanks to the Ecoelectric team – really happy with the installation. The guys were polite and took the time to explain the set up in full. When we raised a minor issue, the customer service was prompt and outstanding. No mess left after the installation and the new panels look great! Thanks again, Nick - St Lucia. Jeff and his team installed a new solar system and change over of lights. The installation was impressive and we found the guys reliable and trustworthy. Jeff provided us with great advice and there was no hard sell. Would definitely recommend them. Just had a new inverter installed. I appreciate the fast service and how pleasant you guys all are. I had some questions and you took the time to answer and give me options which not every place does. Thank you. Hopefully have you guys back when I need to expand. Good work. Excellent service, prompt reply to questions and quick response to minor post -installation issues arising. 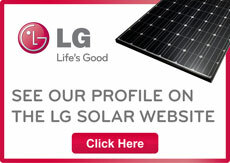 Had the LG pv panels & Fronius inverter/monitor installed recently, waiting for the next electric power bill. Thanks to Jeff and his brilliant team at Ecoelectric for installation of 6kw system with LG Panels with Enphase microinverters. Very good pre installation support with answering all my questions and concerns!! Ecoelectric installed the solar panels at my parents place. Excellent service and advice. Highly recommend. Great service, everyone was terrific to deal with and the system is working a treat. Good service - informative and prompt. I've had the experience of being powered by Ecoelectric on a number of occasions. This includes both domestic and business services, these guys are well earthed and full powered. Innovative. Trustworthy. Affordable. I've been working with Jeff and the Ecoelectric team for around 5 years for electrical services and can't recommend them enough. Great service and always a quality job done. Jeff and the team are by far the most professional company I have ever had the pleasure of dealing with. With so much knowledge, experience and high standards of work I highly recommend them for any electrical job you'd need done. Excellent service from a great team. Ecoelectric are full of knowledge and advice and a pleasure to do business with. Well I have avoided all the pressure and hype about solar panels because we have had a couple of sleezy lying bastards give us quotes, and also because I figured our bills weren't too bad anyhow, but I have the self sufficiently bug, and thought we should have another look at it, especially as our provider said our power was $68 a week and about to go to $90. SSOOOoooo we contacted 3 solar companies to get quotes, only one bothered to reply. We needed some major stuff done first, power connected from house to shed so panels could be installed on shed and not cottage etc, and the entire meter box moved and replaced. EcoElectric were the guys we used, did the entire job including panels, great guys, friendly and efficient .Adrian the young bloke from Eco, worked out our needs so we had enough power to run everything and still feed back into the grid. Being mindful here that our monthly bill is just shy of $360 , plus the extensive work, had we gotten this financed, would still have been less than $200 per month.And so today we flicked the switch......and being me the disbelieving cow that I am, armed with Adrian's number on speed dial, I turned on every big thing we have..aircon, washer, dryer, dishwasher, lights, including the norm....fridges freezers etc....and I will be darned we are off the grid folks!!! And still feeding back into the grid for night time....taaaadaaaaaaa! Seriously if you are in Brisbane or surrounds, call Adrian at Eco for a quote!!! You won't regret it. 07 33766409. It's been 3 weeks since I first started dealing with Adrian. At first he helped me immensely by dealing with another company on my behalf to get me out of trouble. Then he came all the way to Esk to talk me through their terrific products and services. I signed up on the spot. The same week Pat, Matt and Chris came to my house and installed my solar panels and inverter, and solar meter. All 4 gentleman were extremely helpful and answered my many questions with patience. I have called Adrian on occasions since the installation for advice and with more questions, and even outside business hours he has always helped me. It is a credit to ecoelectric to have such passionate and sincerely genuine sales and trades people on their staff. I will be recommending them to anyone who will listen! Thank you all so much. Good service , good people and a fair cost , you can't go wrong with Ecoelectric . with out a Doubt , one of the leading Solar integration Companies in QLD. Ecoelectric installed my 4kw solar system 4 years ago and have had no trouble until recently when I managed to disconnect a plug when cleaning leaves out from under the panels. I did try to find it myself but couldn't. I gave them a call and they came out promptly and found the problem within a few minutes. Not only that but when here they gave it the once over and ungraded a couple of things to bring it up to todays standards. All this was done quickly and at a very reasonable price while all the while explaining what they doing. I can not recommend their service enough for the professional manner and friendly service they offer. Great product selection online and highly recommend for all electrical work.